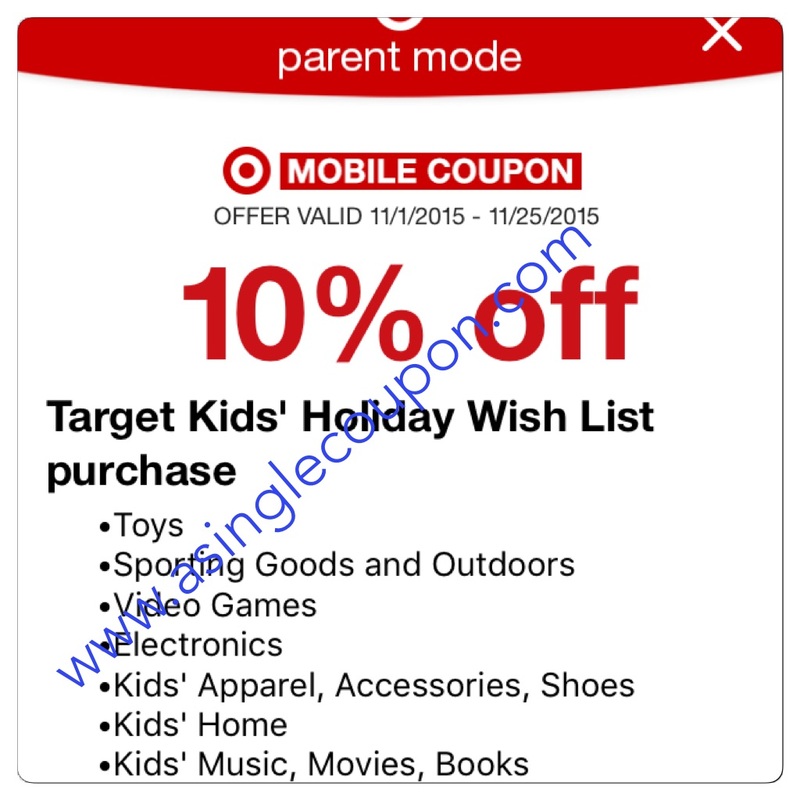 Target: Kid's Wish List App and 10% coupon! 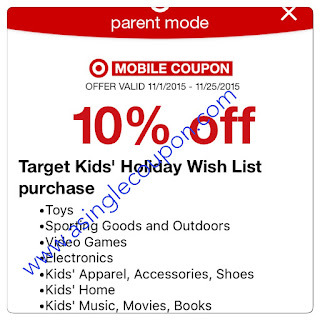 When you download the Target Kid's Wish List App onto your phone, create an account, or log in with your current Target account. Once you scroll through all the question's, at the bottom it will say there is a 10% coupon! The coupon is valid 11/1-11/25/15!